Well, we promised you a year of dragons, and we don’t like to disappoint! 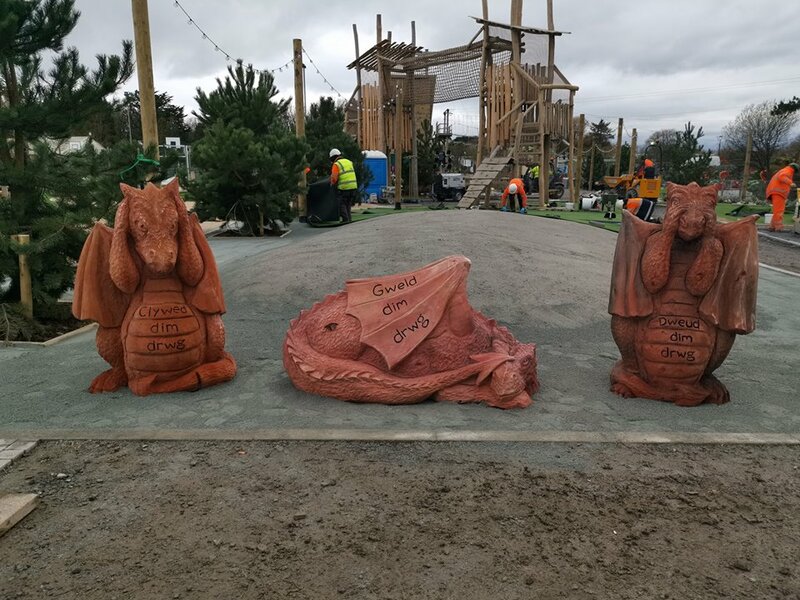 This past week has featured more of Simon’s dragons being installed in Hafan Y Mor Holiday Park in Pwllheli. 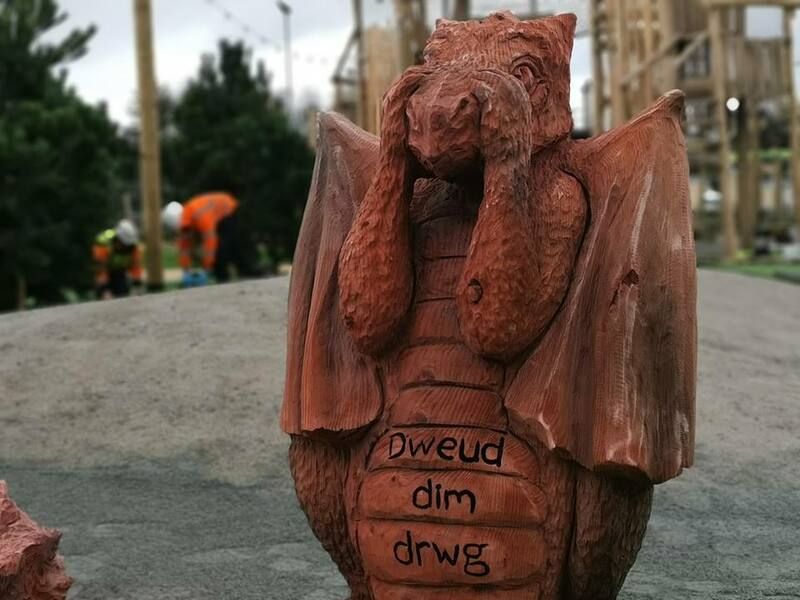 They are part of the new Dragon Lakes Adventure Village which opens later this month. They will eventually be surround by astro turf and other parts of the development, so don’t worry if they look a little out of place at the moment – their ‘home’ is still being built around them, and in a few weeks they will be the perfect addition to a holiday selfie! 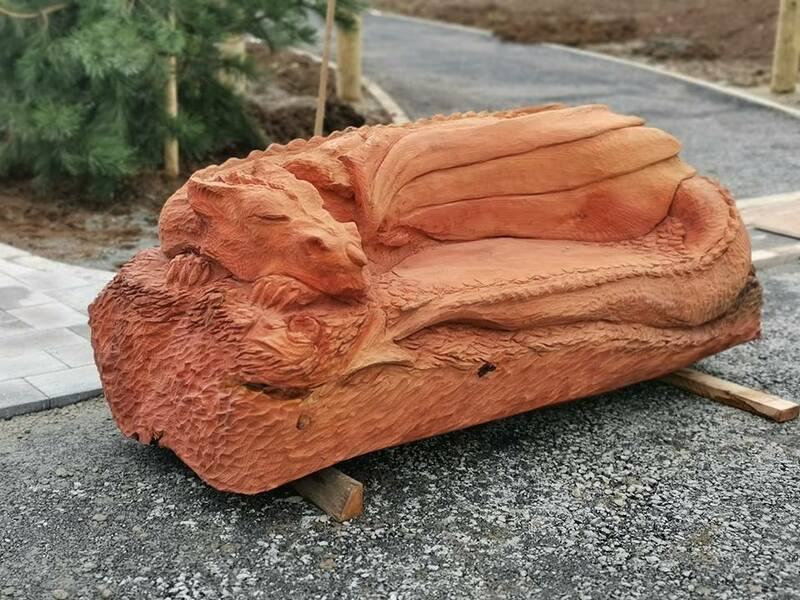 As well as the sleeping dragon bench, we have three lovable dragons: ‘ Hear No Evil’, ‘See No Evil’ and ‘Speak No Evil’ – a Welsh twist on the traditional Japanese monkeys, we’re sure are more familiar to you than these characters! 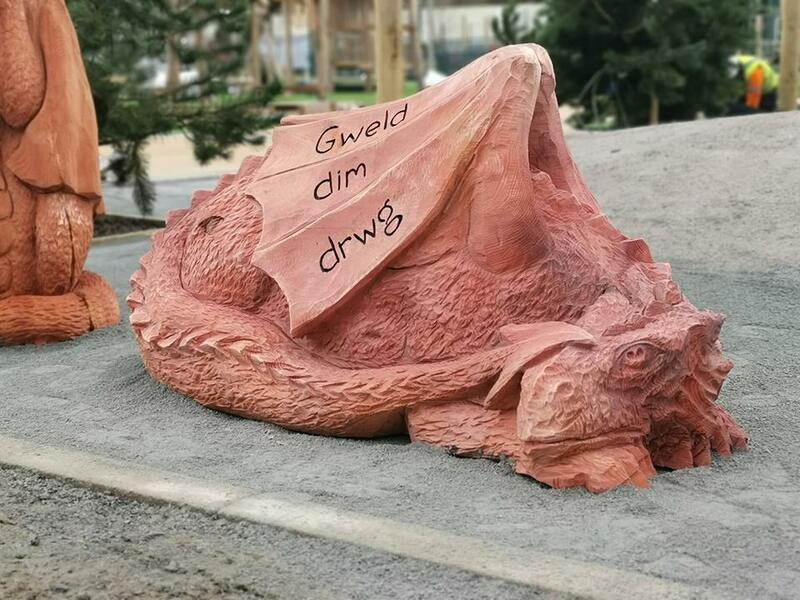 Although the saying itself can be traced back to the 2nd or 3rd century, it was actually a 17th century wooden carving of the monkeys that launched the characters into the renown they have today, so it seems fitting not only to have a dragon version for Wales, but to continue that tradition of carving them in wood. ‘Hafan Y Mor’ can be translated as either ‘sea haven’ which makes it an appropriate name for this spot in Pwllheli – a Llyn Peninsula market town which has won several awards for its beaches an marina. 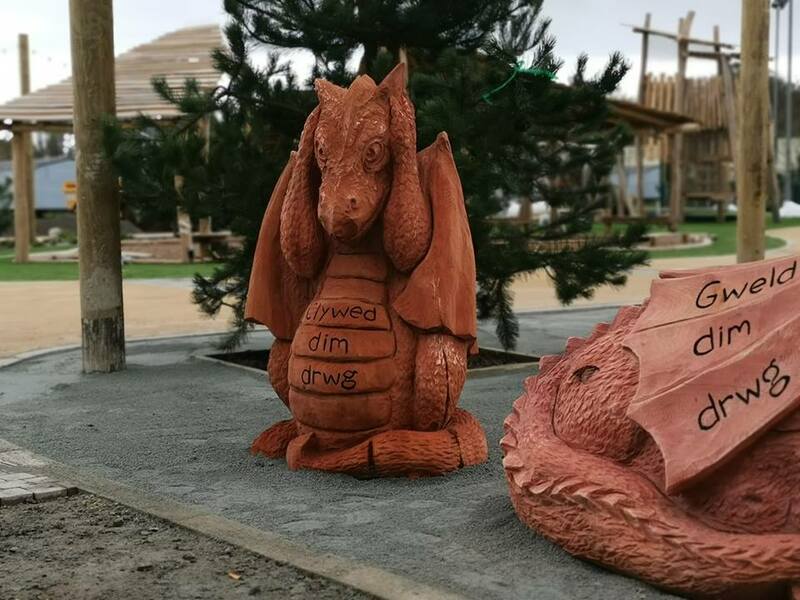 If you happen to be enjoying the area, why not tag us in a photo of yourself with our Three Wise Dragons, and let us know which one is your favourite?